In only 50 pages, every objection succinctly answered. This, now very popular book leaves the reader with the most important decision since conversion. Order in quantities for use as a clear witness of the Sabbath in the life of the “New Testament” Christian. 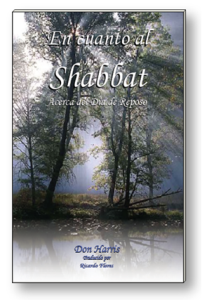 For anyone contemplating the Sabbath, this book answers the questions MOST everyone has about the Sabbath and its modern day significance.